Unleash your inner beast – The Beast roars into Canberra on the 8 Nov! 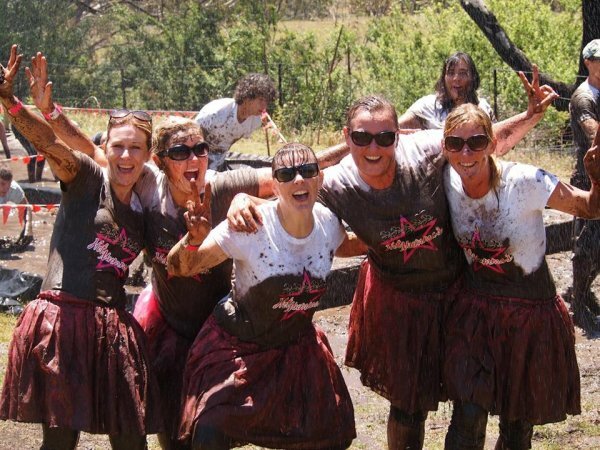 Canberra’s own and original obstacle course race, Call of the Beast, is back again for 2014. Registrations for the November 8 event close soon, so if you (like me) find the prospect of crawling through mud and climbing cargo nets on a Saturday morning appealing, this is definitely one to add to your calendar. Organiser Dan Murray says Call of the Beast is different to other types of adventure races because of its focus on fun, family and being accessible to people of all ages and fitness levels. “Most running events can be a little dull. Doing laps on a flat concrete footpath you can run on any time of the day gets boring after a while. We started Call of the Beast because people were asking for it and no one in Canberra was doing anything quite like it” he says. Now in its second year, Dan expects over 2000 people to attempt the course when it returns to Canberra next month. “Call of the Beast is about getting active and experiencing something different. It’s an opportunity to have fun with friends. Last year we had young kids and people in their seventies competing, and you don’t see that too often in events like ours,” he says. Call of the Best 2014 runs on Saturday 8 November at Caloola Farm in the Naas Valley, a 50-minute drive from the centre of Canberra. Dan reckons that the Naas Valley offers some of the most spectacular scenery in the Canberra region, and says that the course is designed to capitalise on the views. The course is also laid out to minimise gaps between obstacles, and waves of competitors start every ten minutes to reduce the risk of bottlenecks. Call of the Beast’s 45 obstacles include slope walls, ropes, cargo nets, monkey bars, balance beams, and of course, mud crawls. “With the wall obstacles, while you might not be able to climb over the wall yourself, we provide footholds so that you can complete the obstacle regardless of your physical fitness. 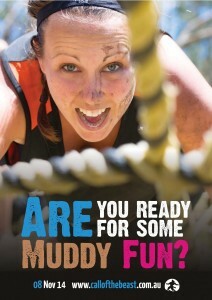 Of course, if you are there to have fun you don’t have to complete an obstacle if you don’t want to. You don’t need to be a superhero,” Dan says. Beastlet (Kid Beast) – With 1km and 2.5km options, little ones can have some fun whilst getting dirty. Fun Beast – This is the most popular race format. Aimed at people who don’t take themselves too seriously, you can choose to enter the 10km, 8km or 3.5km circuits. There are almost no limits in this format – you can run, walk or skip. You can also skip obstacles if you want to. Its as relaxed as you can get. Team Beast – Teams of four compete for the Team Beast title over a 10km course. Teams are timed and race against each other. Those with a competitive streak and want to run with their mates will like this one. The Last Beast Standing – This is a grueling knock-out obstacle course over three rounds in which just one male and one female will remain. If you want to test your limits then this is the option for you. If you were looking for another reason to register, participants are asked to donate and a percentage of this year’s Call of the Beast proceeds will be donated to charities that that support returned diggers and their families, including Soldier On, Mates for Mates, Legacy and Young Diggers.